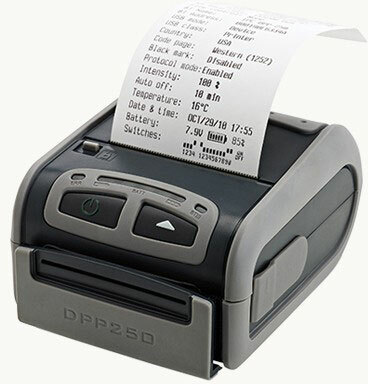 The Infinite-Peripherals DPP-250 2" Thermal Mobile Printer, is battery operated, has a mag-stripe reader and Bluetooth options available, a compact form factor, and a long-life battery (approx. 2.5 paper rolls). 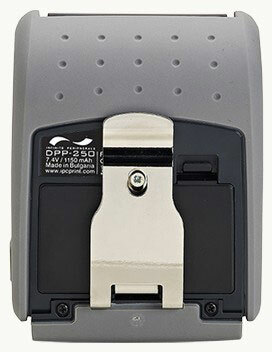 The DPP-250 is also lightweight with an internal, rechargeable Lithium-ion batteries and other options. 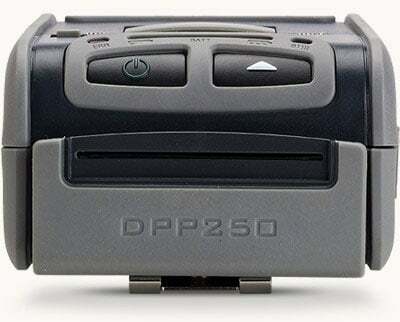 DPP-250, Bluetooth, MagStripe and Smart card-2 inch Printer. 10 unit minimum order. DPP-250, Bluetooth, MagStripe-2 inch Printer. 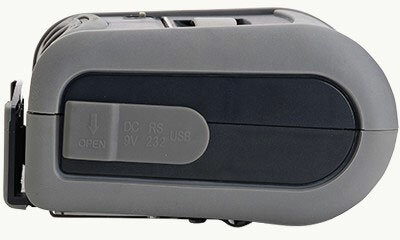 10 unit minimum order.